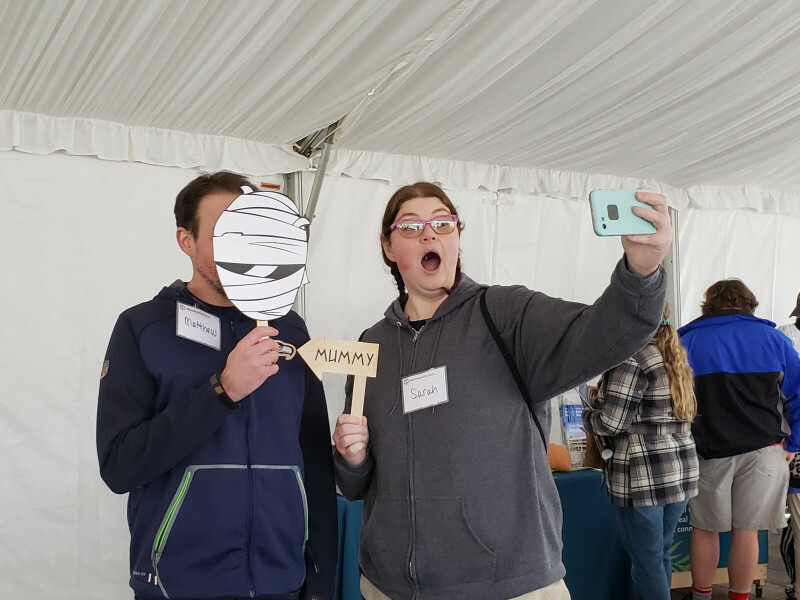 The Archaeological Institute of America is celebrating the 140th anniversary of its founding in 2019. 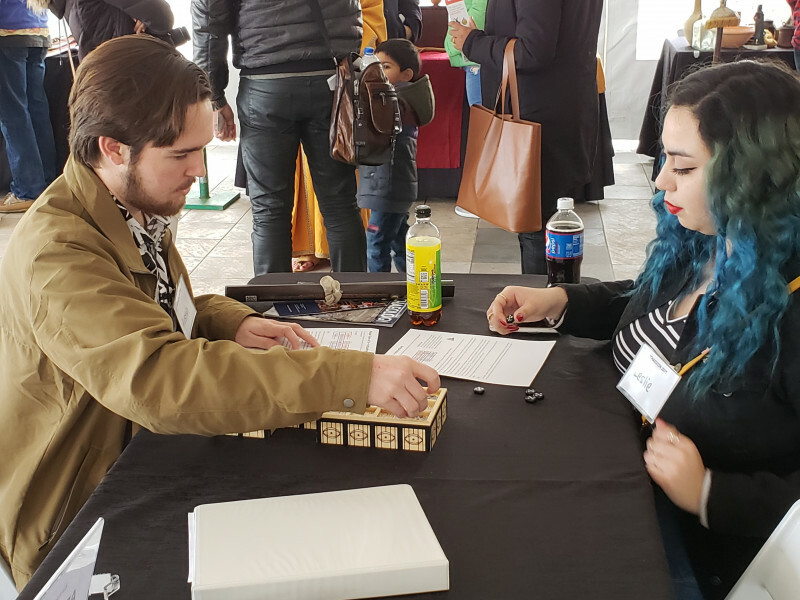 To mark the occasion, the AIA kicked off the New Year with ArchaeoCon 2019 held on January 5th at the 120th AIA-SCS Joint Annual Meeting, in San Diego, California. 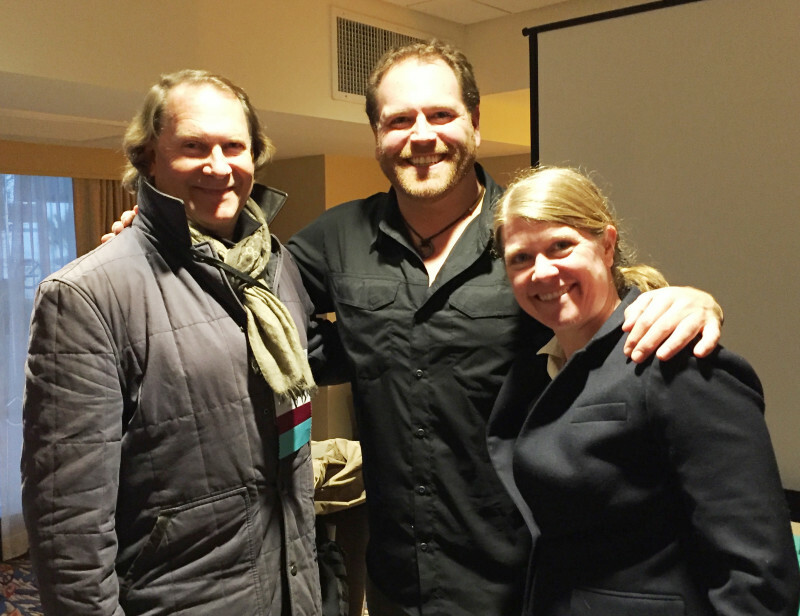 ArchaeoCon 2019, a day of archaeology-themed events open to the public was headlined by Josh Gates (host and co-executive producer of Expedition Unknown on Discovery); Sarah Parcak (space archaeologist and 2016 TED Prize winner and founder of GlobalXplorer°); and Patrick Hunt (Stanford University archaeologist, author, and explorer). 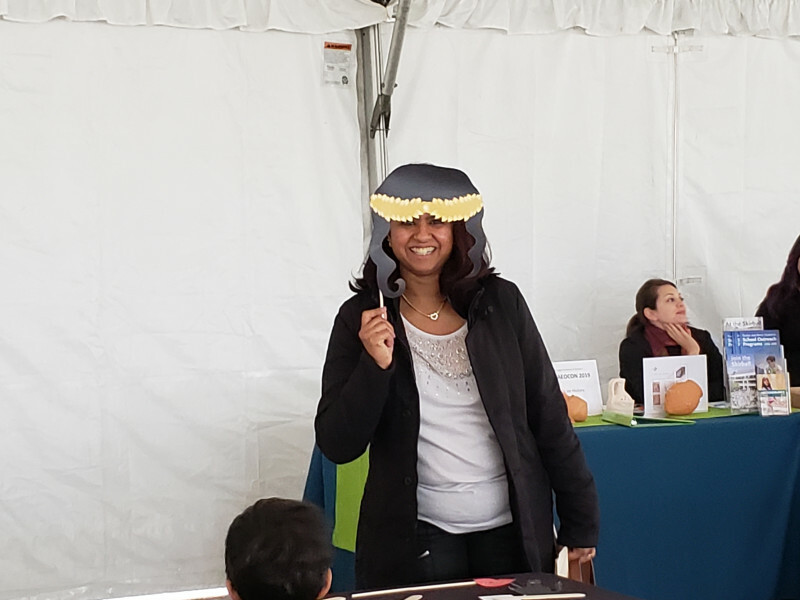 More than 300 people attended the inaugural event and while a few uncharacteristic drops of rain came out of the San Diego sky, no one was deterred. 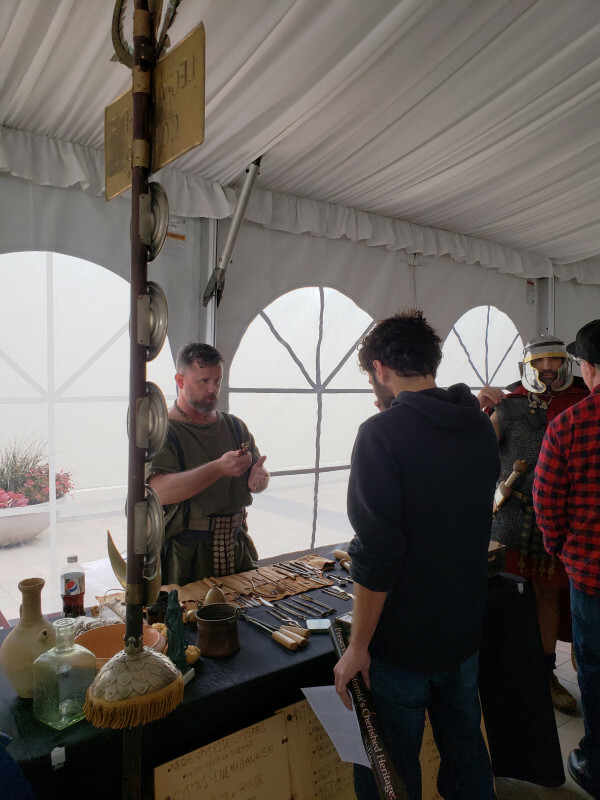 Several archaeological, historical, and scientific organizations hosted tables of displays and activities and visitors were treated to encounters with a Roman medic, soldier, and engineer; hands-on experiences with artifacts; a chance to find out more about how sites are protected and get involved in local stewardship programs; and much more. Presenting organizations included Barona Cultural Center & Museum, California Archaeological Site Stewardship Program, Heritage Education Programs, Legion Six Historical Foundation, Partners for Archaeological Site Stewardship, San Diego County Archaeological Society, Skirball Cultural Center, and the Western Science Center. 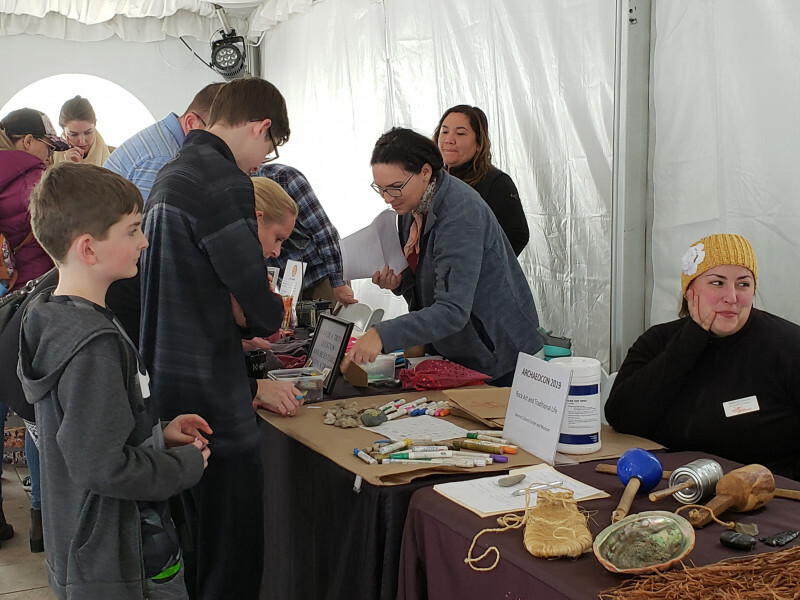 ArchaeoCon 2019 attendees enjoyed the opportunity to interact with Parcak, Gates, and Hunt, as well as with the archaeologists, educators, and historians, manning tables at the ArchaeoCon activity fair. Feedback from both presenters and participants demonstrated great enthusiasm for the event and many attendees showed up early and stayed for the entire six hour event. 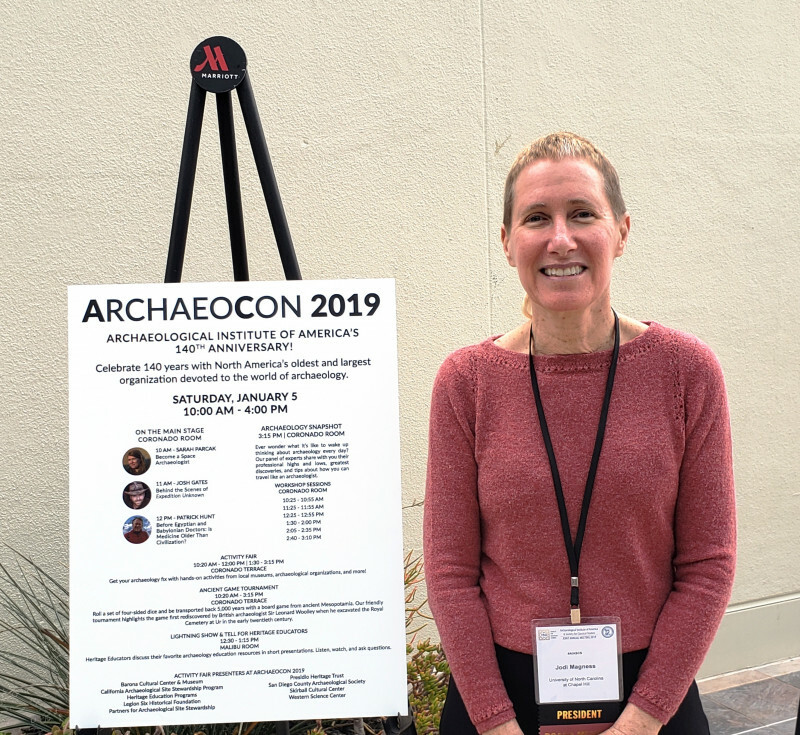 While we celebrated the Archaeological Institute of America’s 140th year as well as the long standing tradition of our Annual Meeting, ArchaeoCon provided the AIA with an excellent opportunity to share the Institute’s passion for archaeology with the Annual Meeting’s host community.